Sudan Knowledge is an academic, professional and non-political organisation that facilitates the exchange of knowledge and information about Sudan and actively promotes the potential of all Sudanese Diaspora across the world to help achieving sustainable development in Sudan. We run global conferences, publish books and a high-quality refereed journal, and organise international development projects. Sudan Knowledge works with a wide range of institutions, such as universities, research centres and governmental departments all over the world, particularly in developing countries. 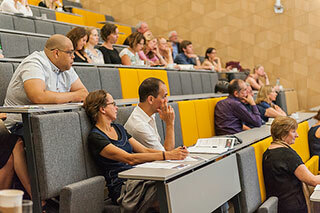 Our international networks bring together multidisciplinary academics, policymakers and practitioners. By bringing together international leaders and enabling them to work in partnership, we seek to contribute to better technological and economic development for all within Sudan.